If you think your kitchen is the highest of high-tech, think again. We've got six innovative kitchen gadgets that will make your kitchen smarter than ever. Perhaps even too smart -- but we'll leave that for you to decide. Being a wine connoisseur can be complicated. Different types of wines need to be served at different temperatures, and if you're just interested in a glass, the rest of the bottle won't last after it's been opened. 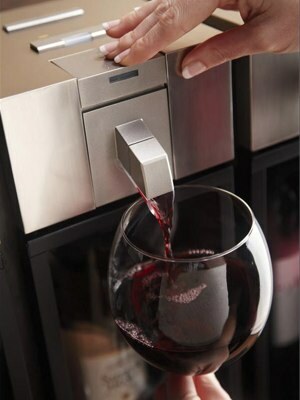 But the skybar Wine System aims to simply your life, at least where wine is concerned. The skybar holds up to three bottles of wine, chilling each wine to the perfect temperature and preserving them using vacuum technology to remove the oxygen from the bottle. So if you want a glass of Chardonnay and he wants a nice Pinot Noir, that's okay: just put each bottle in the skybar, set the temperature and once your wine has chilled, pour a single glass from the skybar's dispenser and enjoy. The skybar's 9 pre-set temperatures for different varieties of wine make picking the perfect temperature a one-click affair. Of course this ultimate in wine convenience comes at a price: the one-bottle skybar costs $349.99 ($244.73 on amazon.com ) and the three-bottle skybar will set you back $849.99 ($695.28 on amazon.com ). If you've always wanted to grow fresh herbs and veggies but don't quite have a green thumb, Windowfarms indoor vertical gardens may be just the thing for you. All you have to do to make plants in your Windowfarm grow is leave them in a window with enough light and change the water once a week. 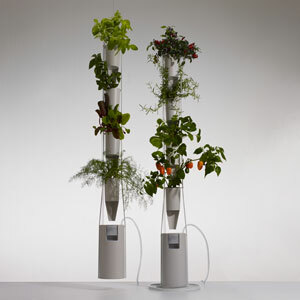 The Windowfarm unit uses hydroponics to provide water and nutrients to your plants to keep them at maximum plant happiness, allowing even non-gardeners to always have fresh food on hand, from Chard to Chamomile. However, this minor kitchen miracle does come at a cost: a one-column starter pack, which contains a four-plant Windowfarm kit, nutrients, and plants costs $199. If you want to grow more plants, a two-column starter pack will cost $299 and a four-column starter pack will set you back $399. But if you think that sounds expensive, just remember: the money you spend buying fresh herbs and greens at the store can add up! While we all love ice cream, we don't always love the calories and fat ice cream tends to have. Certainly, you might make low-fat ice cream or an all-fruit sorbet at home for a delicious frozen treat, but the time and effort involved mean you're not likely to make it every day (or even every week). This Frozen Fruit Soft Serve Processor gives us the best of all possible worlds, letting us easily make sweet treats out of frozen fruit. 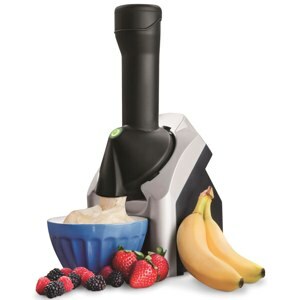 Just add frozen fruit and in a few minutes the machine blends it into something the consistency of soft-serve ice cream, but with all the health value of a bowl of fruit. And for only $69.95 ($49.95 on amazon.com ), you won't break the bank to get the picky eaters in your house—whether they're children or adults—to add more fruit to their diets. On the—slightly—more practical side, Trisa Electronics offers the Coffee To Go, a portable espresso machine powered by a rechargeable battery. If you really need a caffeine kick and you're going to be far from the nearest Starbucks, the Coffee To Go may be just the thing. It's capable of producing 16 espressos per battery charge and will definitely make you the most popular person at the campsite. 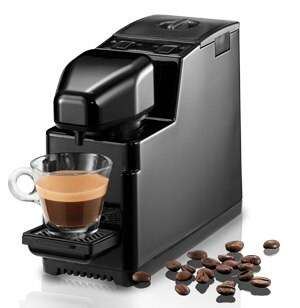 For added ease of use, the Coffee To Go uses ESE pods for espresso brewing without any fuss. Those trying to travel light may find the Coffee To Go and its travel case to be a bit bulky. But the bigger hurdle is price: this European import will set you back about $540 and is currently only available in Europe. Marinating makes food more flavorful, but it takes a lot of hours that home chefs, with hungry families to feed, don't always have. Enter the Marinade Express, an appliance that speeds up the marinating process by putting your ingredients into a vacuum-sealed container and tumbling them in marinade. The end result? What once would have taken overnight in your refrigerator now takes 20 minutes in this unique appliance, giving you a quick and tasty dinner in no time. In addition, the Grovac process the Marinade Express uses removes impurities or contaminants from food and kills 99.5 percent of bacteria, making for healthier meals. If you can afford the Marinade Express' $299 price tag (available on amazon.com )—and give up the counter space for it—it could become a regular part of your dinner routine. Like your water sparkling instead of still? 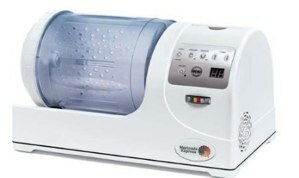 Samsung's RF31FMESBSR is the first refrigerator with a built-in automatic sparkling water dispenser. To add the fizz, the four-door model uses a standard SodaStream 60L CO2 cylinder that installs in an easily-accessible spot on the refrigerator door. The 30.5 cubic foot fridge includes other convenience features such as a counter-height drawer with its own temperature control, LED lighting placed to illuminate every corner and an ice maker built for parties, capable of producing 10 pounds of ice per day. 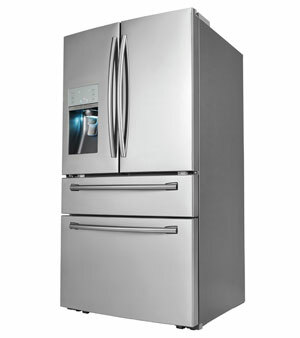 All this convenience will cost $3,899, when the fridge goes on sale in April 2013. Even if you aren't rushing off to order one of these unusual appliances, we hope they've given you some culinary inspiration. Love the Window Farm. A great idea, and I love smoothies made with frozen fruit. I have a heap of kitchen gadgets on my Facebook page for fun and interest.